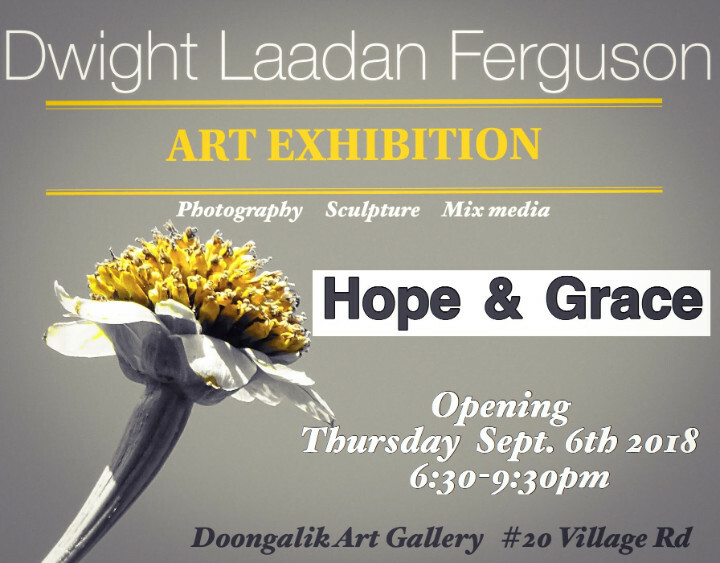 Doongalik Studios is pleased to announce the Opening of Dwight Laaden Ferguson’s “Hope & Grace” Exhibition on Thursday, September 6th from 6-9pm. Ferguson’s collection for this show is centered around a positive message of hope that was surprisingly triggered by an empty lot filled with sunflowers growing wild and unattended next to his home. This simple scene caught his eye and began to resonate as he continued to observe and photograph the flowers’ growth daily over a period of six months. “As I watched the life cycle of the sunflowers, I came to appreciate the inherent beauty in this form of nature from all perspectives. I realized that beauty is indeed in the way the beholder uses his eyes to see. Beauty is not necessarily a state of static perfection because I found beauty throughout the process of the flowers’ growth as it passed through various phases from birth to death. 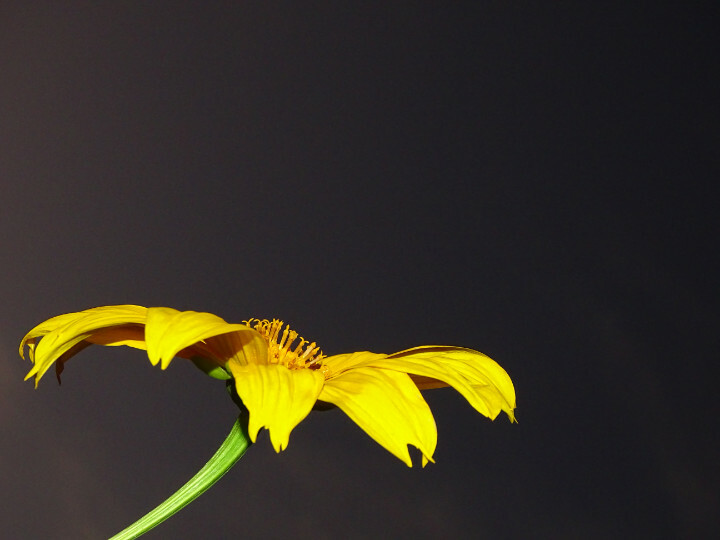 Even the dying sunflower can elicit beauty, grace and hope. “Within the dynamics of this process, one can also make a comparison to a human’s life, for in the midst of all the calamity and crudeness of life, one can still find a sense of calm within heart and soul to uplift oneself. Reflecting on his growth as an artist since his last two exhibitions in April and November of last year, Ferguson stated that his aim is to continue to establish his voice as an artist - not just to sell his art, but to stimulate, change, and challenge his viewers by presenting them with an experience they can feel. 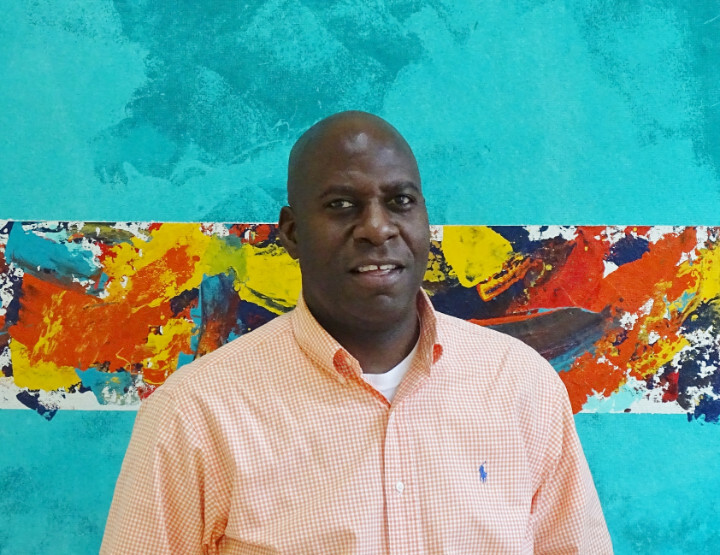 He strives to produce works that have a deeper meaning, so that persons who visit can engage emotionally, but also be encouraged. 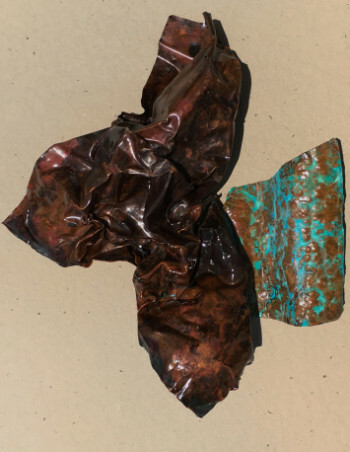 Most of the art pieces will consist of sculptural forms – many in Ferguson’s favourite medium of salvaged copper - which he has crushed to produce beauty from its mangled shape, and fashioned into 2-D wall hangings. There will also be aluminum and wire sculptures, as well as several mixed media abstract paintings, and photographs.